As usual the Frankfurt Retina Meeting will take place at the Rheingoldhalle Mainz; it is considered to be one of the finest congress centers in the Rhine-Main area, lying directly on the banks of the river Rhine. To reach the Rheingoldhalle Mainz it takes approx. 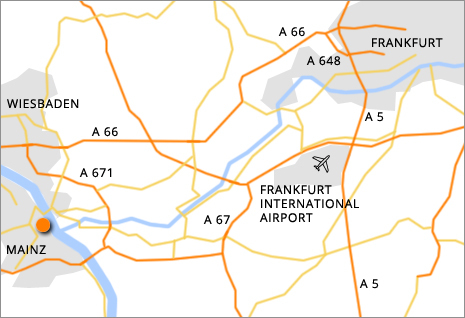 20 minutes from the Frankfurt Rhein-Main Airport or Frankfurt Central Railway Station.